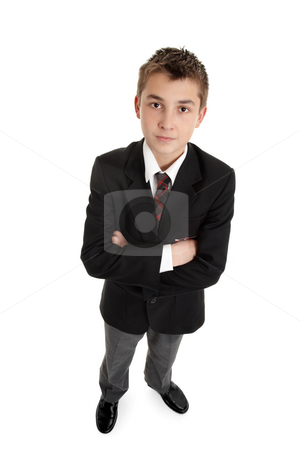 Serious boy standing with arms folded and looking up. On a white background. Shadow added under shoes.